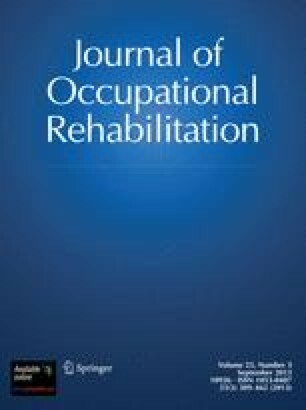 An appropriate paradigm for explaining the evident problems of motivating the workers' compensation claimant toward occupational recovery may be found in the learned helplessness model. This article examines the critical relationships in the workers' compensation system and the potential for development of the injured worker helplessness within that system. The author offers the learned helplessness model as an alternative framework through which injured worker behavior can be explained and understood. It is suggested that the non-contingent rewards and the uncontrollable dynamics characteristic of workers' compensation systems lead to claimants' learning helplessness. Finally, a total quality managed disability prevention system is offered as the organization's best approach to reducing the likelihood of learned helplessness.